Schermerhorn students help The American Foundation for the Blind with its outreach goals. A group of Schermerhorn students meet with their staff and completed interviews to share their experiences with the education system. Stay tuned and soon you will be able to follow their stories online. 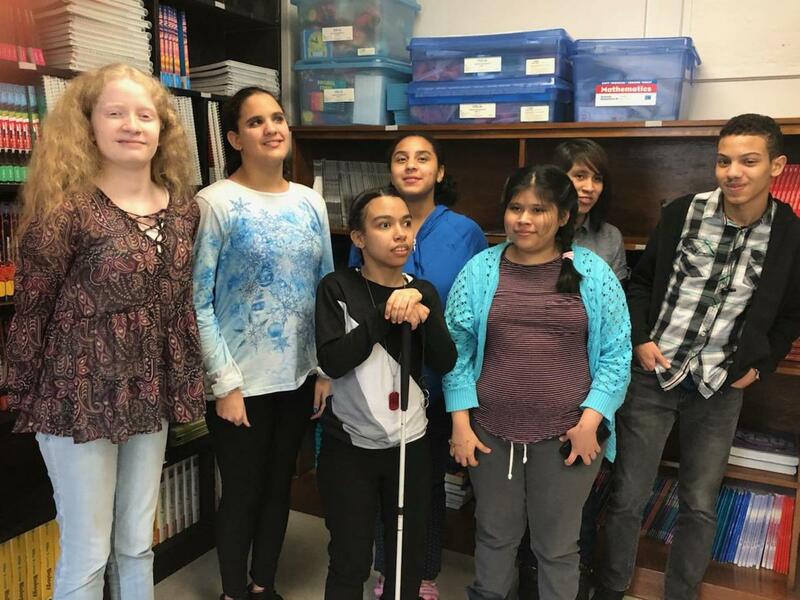 The American Foundation for the Blind (AFB) is collecting stories from across the country that illustrate why their no limits mission is so critical. They are seeking stories from people who are blind, people who are losing their sight, family members, teachers, employers, rehabilitation professionals, and others impacted by vision loss. To this end, a group of Schermerhorn students meet with their staff and completed interviews to share their experiences with the education system. Stay tuned and soon you will be able to follow their stories online. AFB plans to use these stories to communicate their messages to policymakers, corporate partners, donors and supporters. Stories may be used in newsletters, blogs, and social media posts or in letters to policymakers, donors or the media. The goal is to elevate blindness issues, raise awareness about barriers faced by people with vision loss, open the hearts and minds of the public, and create positive social change.